Kay Geiger will be the honoree at the sold-out 20th Annual Metropolitan Award Dinner on Oct. 24. The event will be sponsored by Western & Southern Financial and feature presentations by guests from Miami University, North American Properties and Standard Textile. 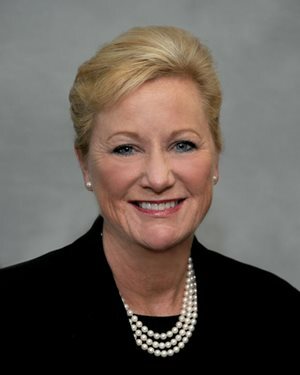 Geiger, who serves as PNC Bank’s president for Greater Cincinnati and Northern Kentucky, receives this year’s award for her significant contributions to unify the region through leadership and commitment to economic and community development. Kay Geiger (Photo: Provided)Geiger also serves on the boards and executive committees for the Kenton County/CVG Airport Board, Northern Kentucky Regional Alliance, Cincinnati USA Regional Chamber, 3CDC and REDI Cincinnati. She also serves on the boards of the Cincinnati Business Committee, Cincinnati Children’s Hospital Medical Center, Cintrifuse, United Way of Greater Cincinnati, Zoological Society of Cincinnati and CincyTech. Geiger is also a member of the Federal Reserve Bank of Cleveland's Cincinnati Business Advisory Committee. Past recipients of The Metropolitan Award have included Kathryn Merchant, Chuck and Julie Geisen Scheper, Victoria Buyniski Gluckman, William T. Robinson III, Dr. James and Rachel Votruba, Robert Sathe, Robert Castellini, William Burleigh, Judge Nathanial Jones, A.G. Lafley, Wayne Carlisle, William Keating, Patricia Corbett, Otto Budig, Jr., Ed and Carole Rigaud, William P. Butler, Joseph Head, Joseph Hayden and Oliver Waddell. Read the full story at MetropolitanClub.net.